The ten EPMOW Genre volumes contain entries on the genres of music that have been or currently are popular in countries and communities all over the world. Included are discussions on cultural, historical and geographic origins; technical musical characteristics; instrumentation and use of voice; lyrics and language; typical features of performance and presentation; historical development and paths and modes of dissemination; influence of technology, the music industry and political and economic circumstances; changing stylistic features; notable and influential performers; and relationships to other genres and sub-genres. 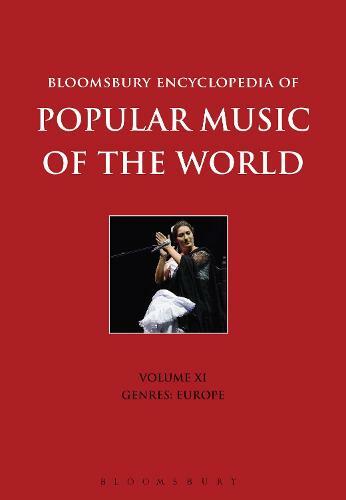 This volume, on the music of Europe, features a wide range of entries and in-depth essays. All entries conclude with a bibliography, discographical references and discography, with additional information on sheet music listings and visual recordings. Written and edited by a team of distinguished popular music scholars and professionals, this is an exceptional resource for anybody studying or researching the history and development of popular music.